How to start a business in Thailand is a topic most often brought up by travelers who have become enamored with the lifestyle they've experienced in the Kingdom. It's also the way they believe they can live in the country longer while making a comfortable living in Thailand. But they are not aware that foreigners who want to open a shop in Thailand is not allowed to fully own a company; except for US citizens under the US Treaty of Amity. And they wonder how much it cost to start up a business in Bangkok, Chiang Mai or on any of the idyllic beaches along the country's beautiful coastline. There are also cultural differences and legal boundaries that have to be considered before planning to open a shop in Thailand. In this article I will explain what you have to do legally and what you should expect while operating a business in the Thailand. 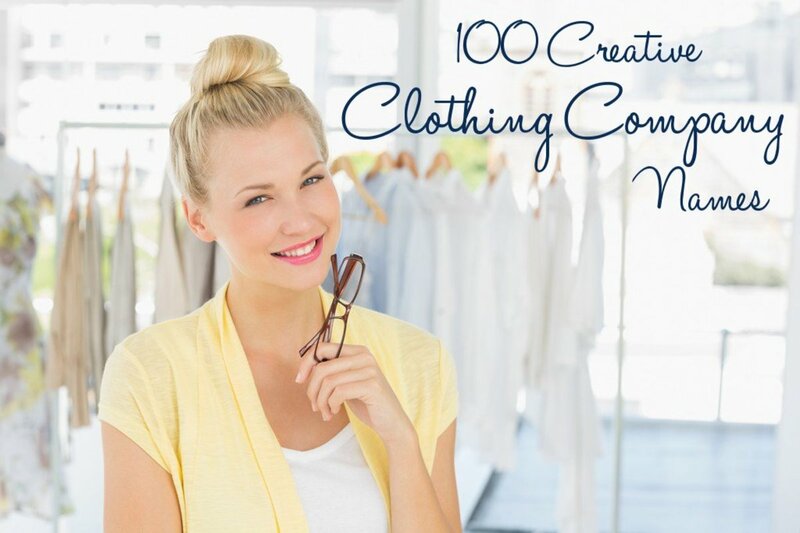 You will also learn the benefits as well as the pitfalls of setting up shop. I'll also touch upon a few business ideas and ventures that I think will work and will not work. The advices in this hub are based on my experiences as well as stories from foreigners who own restaurants and retail shops throughout Thailand and living their dreams. 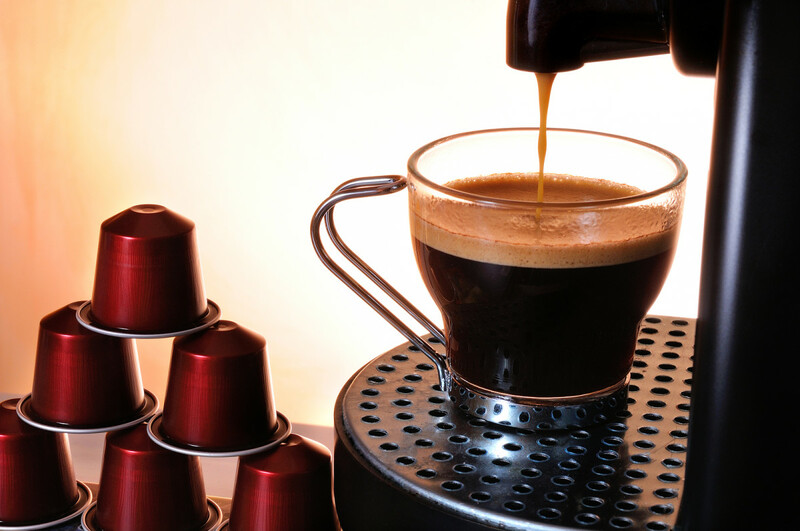 Most frequent visitors or long stay residents in Thailand have dreams and aspirations of opening a bar business in Phuket, a seaside bungalow resort in Koh Chang and even a coffee bar in Bangkok. Whatever business you ultimately decide to start you have to seriously consider what you are going to be doing and most importantly have an exit plan if all fails. Sadly many businesses started by foreigners do fail at a high rate. Mostly due to unpreparedness in finances. But the potential rewards are great if you are up to the task and if lady luck smiles upon you with good fortunes. While speaking to most bleary eyed travelers I come across who want to open a business in Thailand I can easily see within a few minutes that they really have no idea what they are getting into, especially when they don't have a business plan. But the most important plan they are lacking is the exit plan. Starting a business in Thailand is not as hard as you would think since the country is very capitalistic and extremely receptive to foreign businesses. And with a nation of spenders on the heels of China's explosive growth, Thailand is on the receiving end of an exploding middle class with cash to spend. Before you read any further, my advice is that if you are a casual visitor to Thailand you might want to stay in Thailand much longer to get a better feel of what you will be getting involved in. Unless you have so much money that you don't know what to do with it (if that is the case please write me a check). And whether you like it or not you will have to learn the Thai language and perhaps even read Thai in order for your business to grow successfully. Finally, you should assess your goals and think through your plan. If your wish and desire is to open a small business in Thailand with limited capital you have to accept the fact that it might not make you a millionaire back home. However, if your business is successful, you can look forward to having a very comfortable living while enjoying life in Thailand. There is no magic bullet figure. Though it is safe to say that the cost of opening shop in Thailand from start to finish is cheaper than opening one in your home country. Just keep in mind that the cost of opening up in Bangkok will cost slightly more, especially the cost of rent in prime locations which in the big city is higher compared to the rest of the country. But it is also where you can make the most money since the majority of the wealth is in Bangkok. 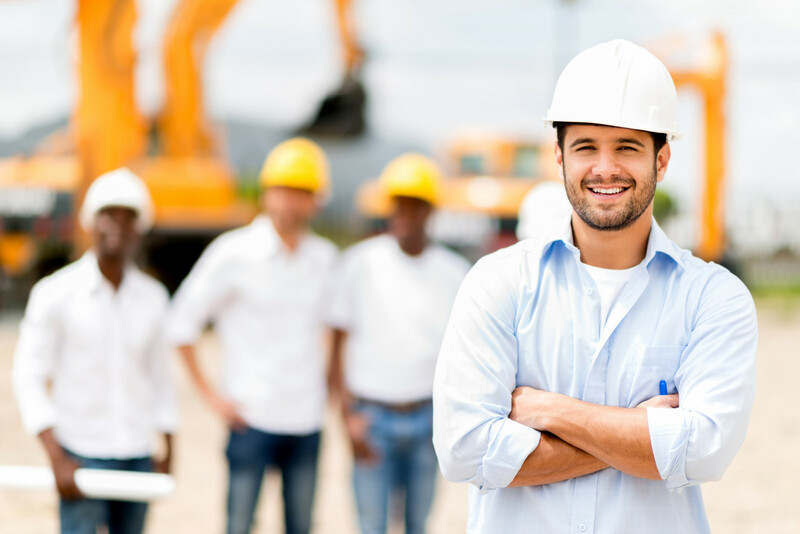 Manual labor and construction is very affordable. 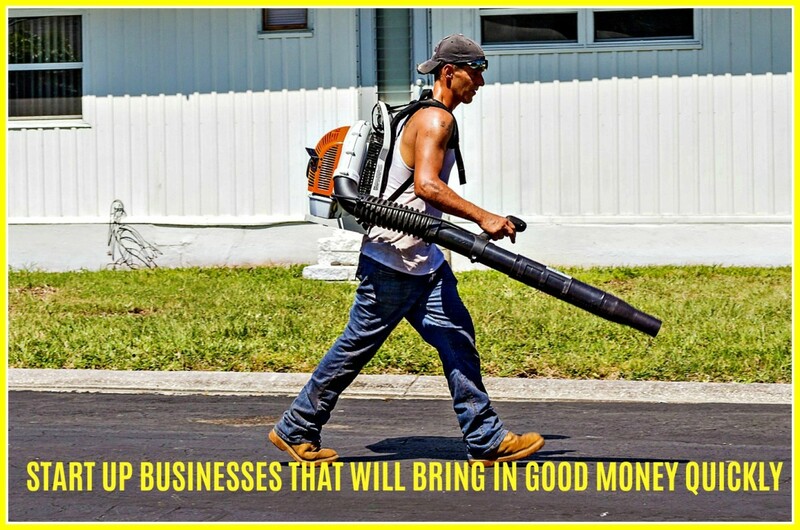 Once the shop is opened and depending on the type of business you are running; electricity, water, inventory and staff salaries are way more affordable compared to the United States. As of writing a salary of 8,000THB - 10,000THB is the norm for Thais working in restaurants, shops and department stores in Bangkok. Expenses: Supplies and inventory 15,000THB/month (ice, cups, sugar, milk, coffee beans etc.). Of course this amount changes month to month. Electricity and water 800THB/month total; water usage is cheap in Bangkok and air conditioning is already provided by the department store I'm renting from which is why my electricity bill is ridiculously low. Those figures above are more or less rough estimates totaling 30810THB per month. If I take those numbers into account and compare it to my hometown of New York City my expenses would be about 250,000THB to 300,000THB per month. This is essentially part of the reason why foreigners want to open shop in Thailand when they discover how affordable it is to open up their dream business. So they sell all their belongings including the dog, pack up their bags and never look back. That could be a big mistake. A back up plan or exit plan or emergency plan is needed if the business fails. There is no guarantee for success in the Land of Smiles no matter how well you planned and executed your business. Besides planning your business financially you should plan on reserving a portion of your funds to return home if necessary. Be prepared, always have enough money for emergencies. This is true in your home country and it's even more true in Thailand. Personally I have failed businesses in Thailand. I was prepared though so I learned from my mistakes and forged ahead. There are several types of corporations that you can set up. The type you choose should depend on how much you are investing or how well you know the people you are getting into business with. Remember, foreigners are not allowed to own 100% shares of any business in Thailand, unless you are a US citizen which you can read more about below. The most popular way to start a business in Thailand is to register a business under a Thai person. This is what I have done and know a few others who've gone through this course. However, the "Thai partner" by law must own 51% of the company which makes him or her the majority shareholder. Obviously if you are going to register your business under a Thai partner, it has to be with someone you trust life and death with along with your hard earned money. That said, the majority of successful small foreign owned businesses in Thailand have started out this way. It's also by far the fastest way to set up shop and you may not even need to involve hiring a lawyer which cuts costs. Now I can't tell you how to find a Thai partner, especially one you can trust a substantial amount of your money with. Foreign small business owners usually file a business under a Thai wife, Thai girlfriend or very good Thai friends/business partners that they have known for a long time with a good background. All you have to do to register a business under a Thai person is to have your Thai partner head over to the governmental agencies with basic information such as type of business. Then you will need proper paper-works of where you will be doing business so a contract with a landlord is required. Then your partner will need to deal with a governmental agency involoved with taxes and acquire any necessary business licenses. Believe me this isn't as hard as it sounds and depending on the establishement the process is very quick and easy for Thais. And if you will be setting some type of street side restaurant you will need to have your Thai partner head over to local police precinct and agree on rent payments, which is really not much, depending on size and establishment. Types of legal corporations you can set up are Limited Thai Partnerships and Established Thai Partnerships, which still require you to have Thai partners along with your name as company shareholders. However foreign partners cannot own the majority share. There are ways to circumnavigate the rules such creating "dummy" Thai partners. But I wouldn't let this idea even cross my mind since the punishment involves heavy fines and imprisonment. If you want to have your name on record as a company shareholder you should hire a lawyer who will be by your side to set up agreements with your partners. Remember, in Thailand, contracts written in Thai are contracts which take precedence over foreign written contracts. Since I have no experience in Thai partnerships I recommend a popular foreign run law firm called Sunbelt Legal Advisors based in Thailand. Which ever route you choose to take it is imperative you let your Thai partner or representative do the majority of the negotiating when dealing with construction, buying a Thai franchise or buying a Thai business to acquiring inventory with local Thai suppliers. As a Westerner and especially if you are not fluent in Thai you will have a higher risk of being subjected to dual pricing, more red tape and unnecessary price haggling. Treaty of Amity and Economic Relations is an exclusive agreement between Thailand and the USA. 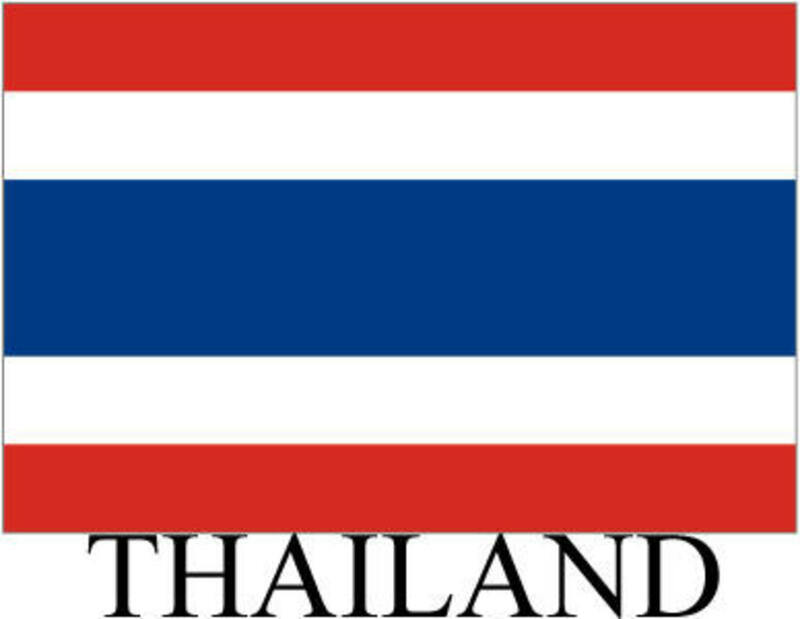 Signed in May 29th, 1968 it gives US citizens the right to own 100% of a company in Thailand and vice versa. You will need a lawyer to help you facilitate and navigate the technical rules involved in opening up a business under the treaty of Amity and without saying you will still need a Thai national you can wholeheartedly trust with your best interest in mind. Starting a company under the Treaty of Amity costs double compared to starting other corporation types as well as the same scrutiny and governmental regulations as forming a Thai corporation. I am a US citizen and I had the option to form my business under the Treaty. However after speaking extensively with a few US business owners operating under the Amity in Thailand it was explained to me that it took half a year to get the paperwork completed on the Thai end, and time was money. Though they enjoy the fruits of their labor today they would not have wanted to gone through the process again if given the choice. I am not trying to discourage any US citizens from trying to start a business under the Treaty of Amity in Thailand. It might be easier today with many professional law firms in Bangkok. Just make sure you have the right legal representation such as Sun Belt Advisers. So why are US citizens so special? My theory is it must have had something to do with major US corporations not being too comfortable with the fact that they won't have total company control. I'm sure the big wigs in Coca-Cola or US car makers did not want any unwanted shareholders in their stakes in Thailand. With some lobbying in Washington they successfully had the US government squeeze out some sort of deal with the Thai government. Ahhh capitalism. Don't you just love it? Depending on the type of venture, setting a start-up business in Thailand from scratch is fast and quick. For instance Bangkok has a lot of excellent designers who can help you create your dream store front at the fraction of the cost in the West. And construction is very fast since they work around the clock. Furniture, restaurant equipment and office equipment can be easily found and purchased at reasonable prices. 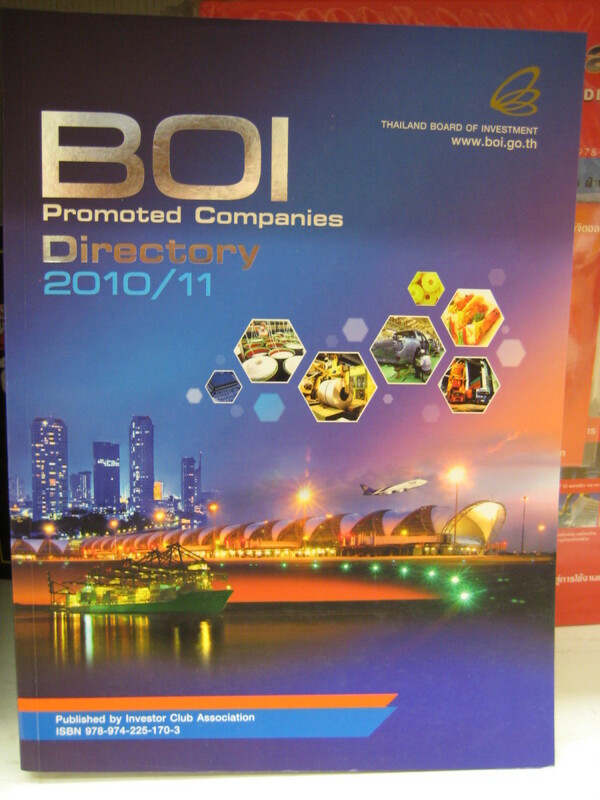 If you need to find wholesalers in Thailand for all types of equipment, stock or inventory, head over to a book store and ask for a Thai business directory. These books are invaluable for finding the right contacts to start and acquire the necessary items to get your business on the right track. 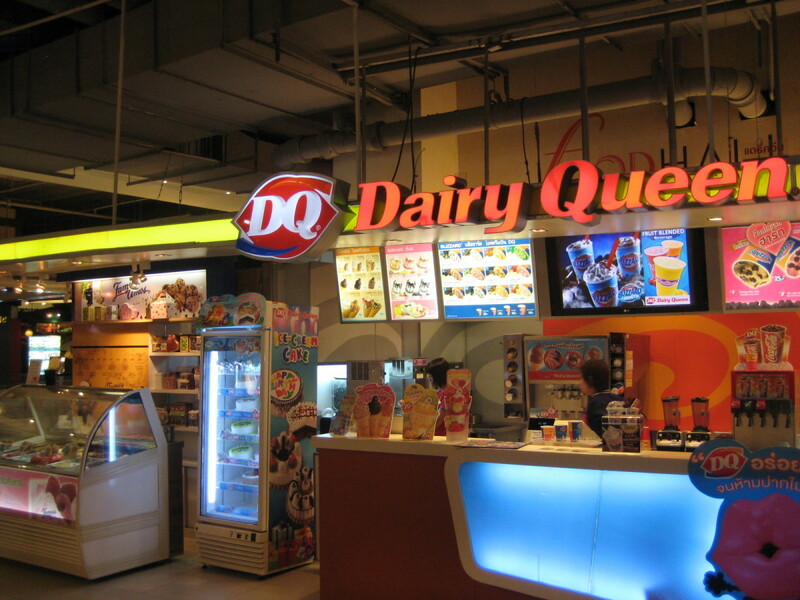 Franchise opportunities are plenty in Thailand. Thai franchises are very affordable and if you are looking to invest in a Thai franchise there is a magazine you can purchase in most book stores. 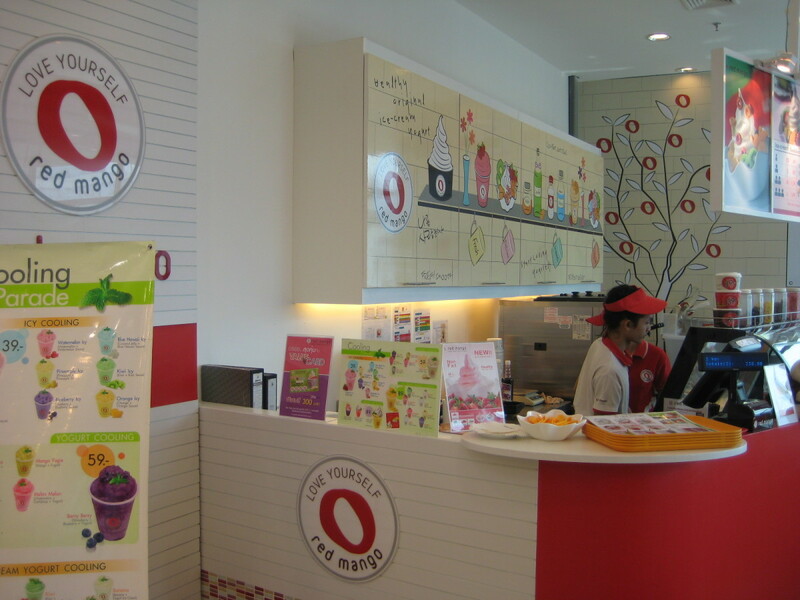 Inside you can find franchises for ice treats (very popular), noodle shops, spas and services. Then there are the international franchises. 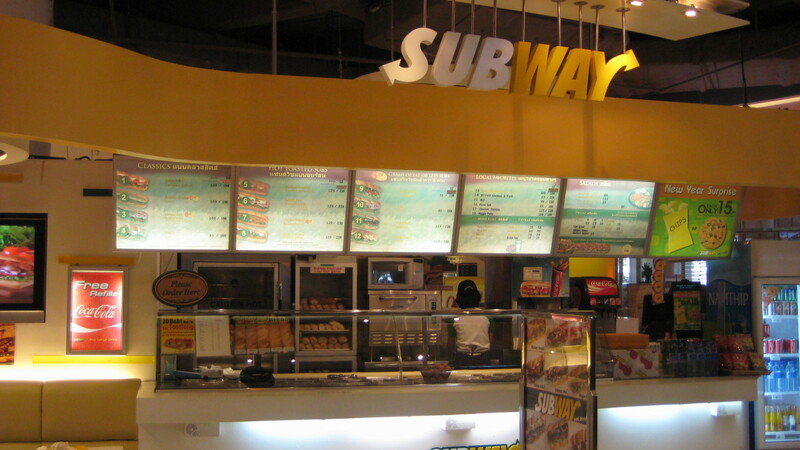 A popular sandwich shop franchise called Subways are popping up all over Bangkok. 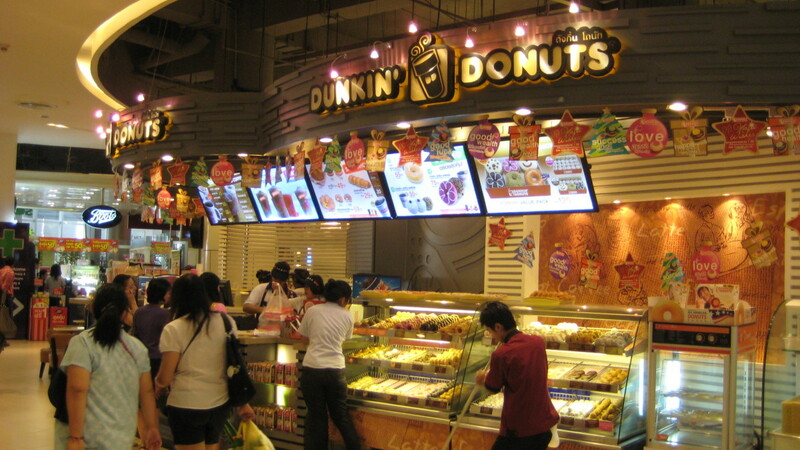 Many US franchises are very successful in Thailand. Matter of fact many are more successful here in Thailand then they are back in the USA. Buying a business might require you to look for a broker so it can be a bit pricey especially when it involves hiring a lawyer and accountant to sort out the feasibility. Many businesses are put up for sale by Thais and foreigners whom for a myriad of reasons need to go home in a hurry or just gave up. The drawback to buying a business of course is that there is a reason why the seller wants to sell. The positive is you have a business ready in a box so all you have to do is nurture and grow it. Buying a business is a crap shoot though as many of the best profitable businesses for sale are usually swooped up by brokers themselves or by Thais with the inside information. Here is a company associated with Sun Belt legal called Sunbelt Asia and they do broker companies for sale. Regardless you must do your due diligence and check to see if the business you are interested in buying has legs to survive when the keys are handed to you. If you work at a business you started in Thailand without a work visa such as a restaurant you may just get away with it without any consequences. However, if your restaurant is successful and your competition is suffering they just might make a call to the local immigration office and report you. The penalty is deportation and in extreme cases shutting down your business permanently. This is something to think seriously about. Work Visa or No Work Visa? It is strictly prohibited to work in a company in Thailand without a work visa. As a foreigner you are not even allowed to volunteer at a business you've funded. That means even if the company is under your name you will still need a work permit. There are monthly fees or taxes for work visas which cost a minimum of 5000 Baht. For a small business in Thailand that is a considerable amount especially when you multiply it by 12 months. It's one of the reasons why most foreigners register a business under a Thai person they trust and micro-mange covertly. Since visa rules may change at a moments notice so it is best that you do visa research on your own. Again, speak with a Thai law firm for up to date information regarding work visas for foreigners. I do not recommend searching on the web for answers because it may not be correct because rules and laws change. You can stay on the business premise of course and have your Thai partner delegate. This is the reason why you and your partner must absolutely understand each other both fiscally and personally before you start your venture. There are many foreigners who want to open a business in Thailand and have the money (and hopefully an exit plan) but don't know what to start. Then there are those who have way too much money but have ridiculous ideas that in all probability will take off and profit. The key to having a successful business in Thailand is to target the Thai demographics with only foreigners making up the smaller percentage of sales. For example there are many foreigners who have the idea of opening a go go bar or a small beer bar with ladies available for sexual services. It is the wrong way to go and I strongly advise against it. First and foremost there are enough of these venues. Then there are the moral and ethical reasons why you should not start such a business. Finally if you decide to concentrate solely on foreign customers you are missing out on the much larger Thai customer base whom would never step through the doors of go go bars. 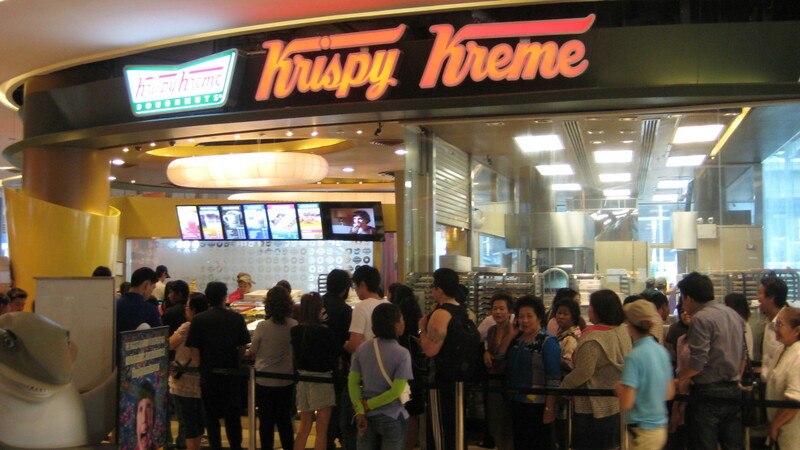 And foreigners come and go but Thais are always loyal to their favorite places of business. So do not make the mistake of targeting the foreign market exclusively. Consider this. Thailand has a tumultuous history with military coups and clashes against the government occurring once every decade. Once the ashes and rubble is cleared any businesses catering to foreign tourist may have suffered so greatly that it will take them awhile to recover. Eating is a communal affair and since the average Thai apartment is small it is not suitable for large friendly gatherings where everyone can eat comfortably. Thanks to a bit of cultural imperialism from the West, eating on the go is becoming quite frequent for middle income office workers in Bangkok. Instead of grabbing a bowl of rice porridge with minced pork; many today are preferring small sandwiches, breads, bagels and pastries with a cup of coffee for breakfast. Through lunch and dinner you will find Thais dining in Western style fast food restaurants in groups. But the reason that lit a light bulb in my head is that Thais living in city apartments and condominiums do not have a full kitchen. With so many people concentrated in one place they have to eat out. As a native New Yorker I noticed a lot of remarkable similarities between the Big Apple and the Big Mango which is what Bangkok is called in relations to New York City. Thais are big time foodies and will frequent their favorite eateries often and in groups. Buffalo Wings and Pomme Frits are easy to make along with the dipping sauces that accompany them. Thais and foreigners easily recognize them and there won't be a huge learning curve while teaching Thai staffs how to cook and prepare those dishes properly. Mobile food trucks I believe are also a really good idea. It's very popular in the USA and I think can work very well in the Bangkok. There are a lot of clubs and discos in the city that open late in the night. If you park your truck outside a very popular club around closing time you will be rolling in the Baht as hungry young clubbers are usually those who try new things to eat. Personally, I do not have the time nor the resources to open these businesses currently. But if you are interested in opening up these businesses just contact me and I'll offer my advice. Having a successful business in Thailand as a foreigner is a great way to enjoy the country and live abroad. The potential for profits is high with so many Thai youths and a growing middle class willing to spend money. One final thing you should think about is that Thailand has a history of political instability with military coups occurring every decade or so. Also at this moment foreigners living in Thailand long term are basically less than 2nd rate citizens and it doesn't look like they will be granted full rights as a Thai. Thai immigration laws can change for the bad, further limiting the amount of time a foreigner can stay in the country or create more legal red tape. There is a lot of uncertainty to consider before thinking about opening a business in Bangkok, Chiang Mai, Pattaya or Phuket so give careful thought and plan carefully especially for the future. 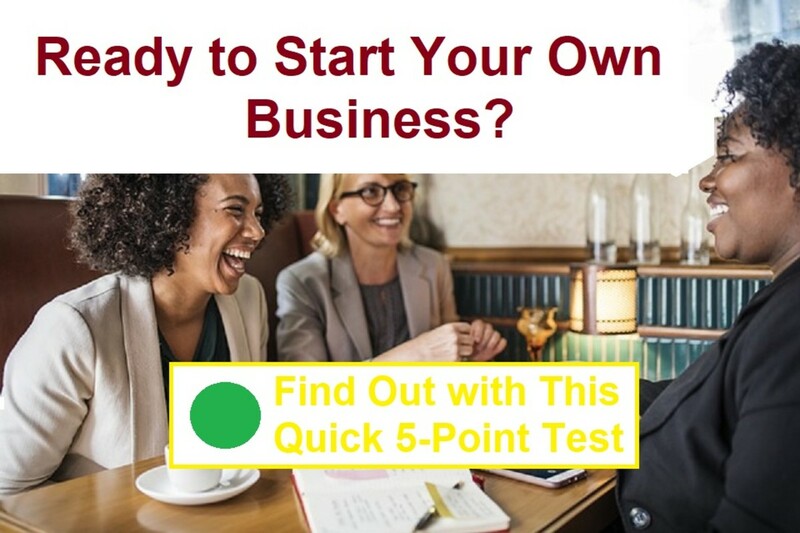 But if you are fully prepared, done your market research and know your business plan inside and out with plenty of funds for start up and exit then your rewards are great for a successful business in Thailand. A US citizen that owns a Thai business under the amity treaty could then own land under that company, is that correct? Yes and no. As a US citizen, the land won’t be in your name. However, it can be under the name of the Thai corporation. I recommend speaking with a Thai based law firm for more info. Have you been contacted by the United Nations Democracy Fund? Really, It's a money grant offer from the Financial assistance agency to help citizens maintain the standard of living for 2019. The benefit money is from the Agency's head office. I even thought you have been contacted already because i got $100,000 delivered to me when i applied for the grant and you don’t have to pay it back.. you can also apply. I even thought you have been contacted already because i saw your name on the beneficiary list. You are to receive $150,000. Should i give you the agent's emaill address where i applied so you can also apply there too? Get hold of the SCG agent right now and tell him you want to claim your fund. Then he will put you through some guidelines on how to claiming your Support Fee from the government. hit me back when you get in contact with the agent. I am looking for a partner. Please send me an email if interested. 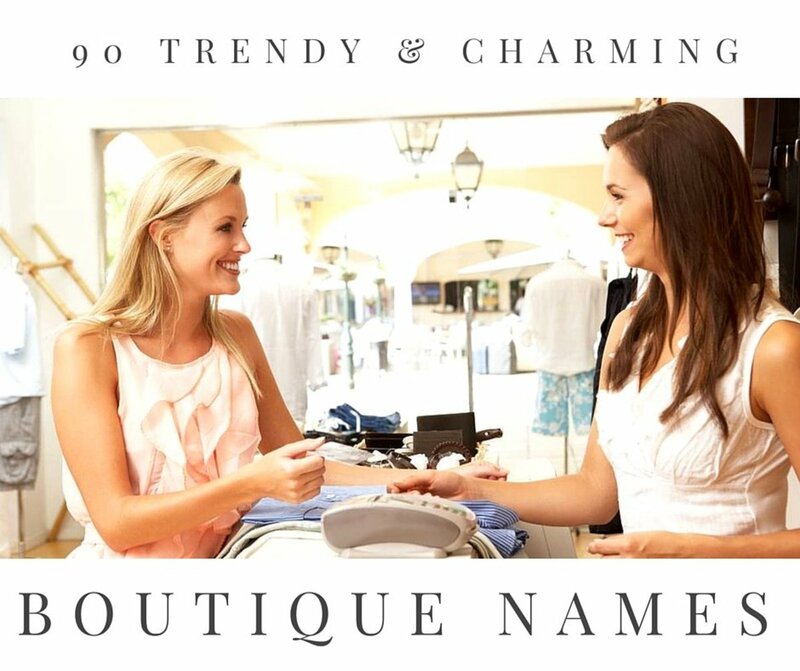 If I have a Thai wife, can I register the business on both my name and her’s? Thank you for this information. It helped a lot. I’m not Thai, but I was born in Thailand, now currently living in the USA with an American citizen. I planned on moving to Chiangmai to open a business. This article helped a lot!! thanks a lot for your brief idea regarding business plan. You have covered almost all the points. Hello, we are two Australians wanting to start a small meditation workshop retreat. With possibly a side health cafe. My brother is a US citizen would it be allowed to put the business in his name and we get working visas to run it? I want to open hotel in Pattaya near walking Street on lease but I don't know how and where to check can u help me? Forget it...this has been tried and tested in thailand before the OP was even born...heres a few ways youll get burned at the stake...revoking your business visa cause your eating into thai peoples livelihood...being hustled by cops and local riff raff...thai workers stealing at every possible chance...juntas and political unrest changing laws at a whim(look at the "thailand elite" phuket some very badly burnt farangs".. thai wife double dipping ..shagging..feeding close relatives all behind your naive back...your a fool if you think any different...land of smiles..in every respect,,INCLUDING BENDING YOU OVER FOR ALL YOUR WORTH! It's really very nice & honest opinion. 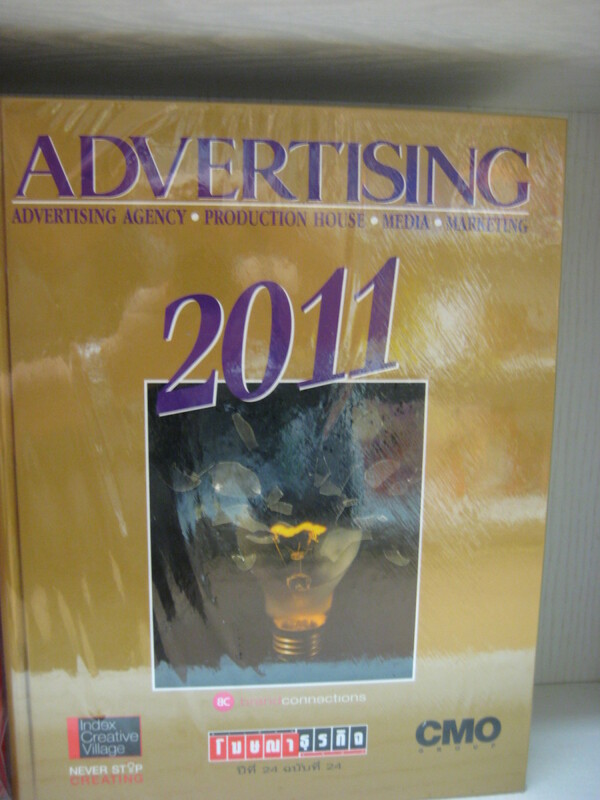 The writer has touched almost all the area for business opportunity & it's easier establishment. Thanks , very useful information . Great article but I think that stating that 'Thailand is extremely receptive to foreign business' is very misleading. You even explain how foreigners can't own businesses, and how even your coffee shops are legally owned by Thai people, and you just manage them covertly. That is not the definition of being receptive to foreign business. I love Thailand but no need to twist reality; Thailand is not receptive to foreign business, and the insitutionalized racism in the country is certainly annoying. Thanks for the information.I have a plan to start a Guest house Business over there. But its not easy to trust a unknown person in the name of money. So first we have to stay there and survey after that we can proceed. Very interesting read there mate, kudos if this article is still being read some 6 years on. Just my 2 cents but I'm considering a service laundry business as an option, especially considering most people live in apartments and are too busy/don't want to do their own washing. Definately helps if you have a Thai partner/spouse to set up the legal side of things. How feasable do you think it would be to buy a classroom sized piece of land, build a classroom, and open a tutoring center there? I've been living in a small town in Thailand for almost 2 years teaching English at a school here, can speak Thai well but not yet fluent, and am known and liked by a lot of my students. Hi edwin . About street vendor selling i want to know if i should apply for a working visa or registering a company in order to work or is it better to completely hire a trusted local thai to sell for you with your tourist or ED visa . 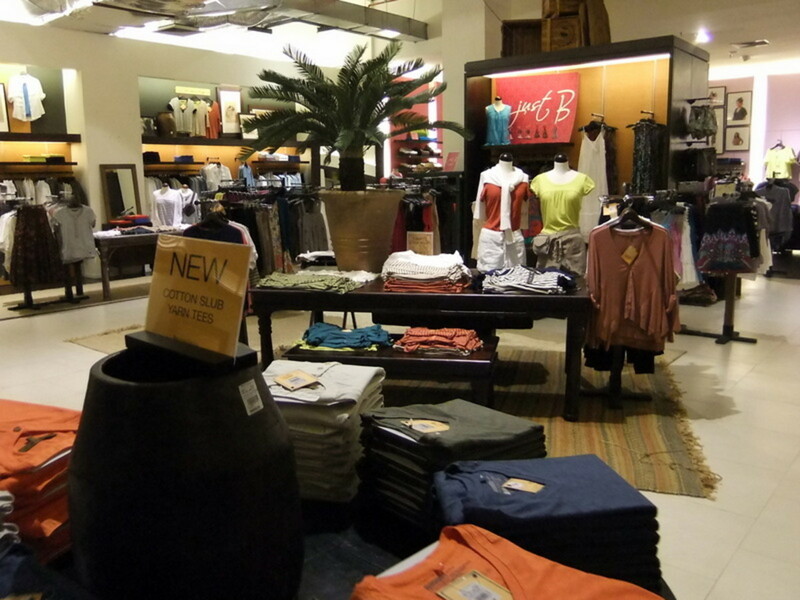 I am from India , I want to open a whole sale & retail store of garments in Thailand . I have my own production of cotton garments in India. so can you please tell me is possible to start a store in bangkok or pattaya. what will be the legal procedures & how much will be the initial investment. Hi please check my email to you! Thanks! Thanks for this article it was very informative. I'm thinking of the buffalo wings idea with different dips. I will need some more information re house rentals in Thailand please. Thanks for the post. I am planning to start a business in Bangkok and require some help. However, I couldn't find your email address to contact you. well I have to say that was one of the best posts ive seen on business in Thailand I do however have a couple of questions in which I would like to ask you if possible as you seem like a very informative person. I've worked for Dutch Bros coffee in the Pacific Northwest for some time and would franchise if I didn't have to stay in america once I did. I have spent a great deal of time in Thailand and would love to open up a similar business there. Any advice would be greatly appreciated. A fantastic well written article that makes sense, is easy to understand and informative. Thanks for taking the time to share your experience and knowledge and being so honest with the pros and the cons. Sorry and lastly would I have to employ 4 Thai people if i wanted to also work front end and have a valid visa? And does this change if is a specialist job eg foreign cuisine requiring a foreign cook? 5 Year old article and still going strong, nice work. Just wanted to ask if there are any other options available for establishing a Thai partnership if I don't know anyone from Thailand? Eg with a lawyer! Does the law on this matter require an actual relationship of some sort? Also would you mind explaining the legal differences and implications between street food set up, food truck and snack bar? Hi Edwin i live in Phuket since 5 years and me and my wife , great cooker, would like to open a small businnes using truck for selling food. Can you suggest a good company that sell trucks customized? I am running a successful Web Designing and Software Services Company in In India. I have a Thai Friend, I can trust. I want to open a Web designing and software Development Company In Bangkok. As per my research a lot of new businesses open every day in Bangkok and all of them need a web presence. So I think, this business venture will work. Please tell me how much it will cost to rent out a small decent looking office with capacity of sitting 20 software professionals (total staff)? Secondly, I am planning to hire Thai Business Development Executives who can talk to Thai locals and English Speaking Thai Marketing Executives who can talk to Non Thai Business Owners to bring business to the company, so how much is average monthly salary of such guys/girls in Bangkok ? What you think about my business idea keeping in mind Bangkok and market status? Any suggestions for me to keep in mind for opening a technology start up ? Any special license or registration needed for setting up a software company? Your article is nicely put together and very informative. My elderly retired parents (Australians), can maintain their Australian pension (in full) and live in Thailand. They want to purchase two villa's, live in one and rent the other. from my parents residence (or other villa)? I would like to start a small cosmetic business with my trusted thai girlfriend. I will be supplying her with the products from abroad. As it is a small trading business we will not have any staff, however, I have seen somewhere that to start a business in Thailand as foreigner you need to have at least 4 thai employees. is that correct? Love these blogs, thanks for collecting all of these together, We are famous Manufacturer and Wholesaler of top of the line gemstone and Diamonds jewellery, supported by group of very experienced people. Click on my name next to my profile pic. Then look on the right and you will see"Fan Mail". From there you will find how to contact me via email. Usually foreigners starting a small in business Thailand have a Thai spouse, girlfriend or boyfriend. I do not recommend partnering with a Thai that you have not known for a very long time even if both parties sign a business contract. Your blog is very informative. How does Thailand competes China in manufacturing ???? especially electronics. Amey, cosmetic business is the best business in Thailand. If your products are proven and effective and you have some marketing power you can do very well. Thai women are the big spenders on cosmetics. Karan I'm not a real estate specialists. Best you speak to a realtor in Pattaya that can better help your unique situation. Andrew, for Thai citizens it is absolutely easy to open a street food shop. If you're not a Thai citizen it's a different story. You can even go to jail or get deported if you're on a tourists visa. Normally for local Thais they just go to the local police precinct and sort out the details. Kumar you can find my email address by clicking on my profile picture find Fan Mail and you can contact me there. Im a Malaysian..been to Thai a few times now.. I have some questions on business start up in krabi..could u pls provide ur email address? Hello! How can I find place for open small street food shop? I need place outside, just space on the street for put street food equipment. Thanks. hi Edwin, i m from india want to start business of sevice apartments in pattaya as i have experience of 20yrs in hotel industry in operations.will i be able to hire a villa with swimming pool close to beach . Do i have to take some licence or permission from local authorities.Hiringa villa of 4rooms with pool will be a problem. As i have clientele from U.S. and india. Do i need a thai partner for that.What visa i have to apply for . can i do this on tourist visa or non immigration visa B. and then apply for business visa. I'll do my best to offer advice. Depending on what you want to do, $8000SGD your options may be limited. hello, i seriously need some advice. i'm a singaporean and i would like to setup a business over at bkk. i need some advice as my capital is roughly $8000 SGD. I am Arnab Das from India want to start a small Indian fast food business in bangkok area as initial experiment how that business goes . Therefore i need a small 100 s.feet rental shop which is must be located on road front.Here in India i have running my own two gymnasium business (Fitness academy).June 2016 i had been Thailand for few days vacation trip and i found there are lots of space for investment so i am showing the same. hope i will get a serious feedback from your side very soon. Hi Edwin. I came across this article and we are interested in starting a business in Bangkok. We have stayed there for a year and have several Thai friends who also owns businesses. Can you give us a ballpark figure for the cost to start a business, probably a small coffee shop. Thank you! i am a pakistani national. and i visited thailand twice during my vacations. i have thai girlfriend government officer now i want to settle in thailand, she is ready to assist me in everything. what would be a good small business that i can start with a sum of half or a million bhat? looking forward for your good and friendly advise. presently i am in suratthani thailant. I do have few questions for you and i need your advices. This is Alam from Pakistan. I have visited Thailand two times recently. I wish to start small business in Bangkok. I have 300000 Thai B capital. Can I register company, work permit and establish small business in Bangkok. Can you guide me in this regard. I will be very thankful to you. Very good article. The Phi Phi islands are one of the most beautiful places on earth. Good article. Craig Urban CW4 USA Retired. Check me out on Facebook. I give personal advice for all that ask. Especially freedom fighters like me who served there country. Any country as long as they are a freedom fighter. I speak most of the Germanic languages including a little Gaelic. Seen 44 countries serving my country and all 50 states of the USA. Go Army. Be all you can be. I am a testament. I do not need a personal advisor on stocks and bonds. I now what goes up and down. Clara, although I think more Thais are becoming health conscious , your customer base might be limited. Sathorn district has a good mix of expats and middle classed Thais who may be interested. 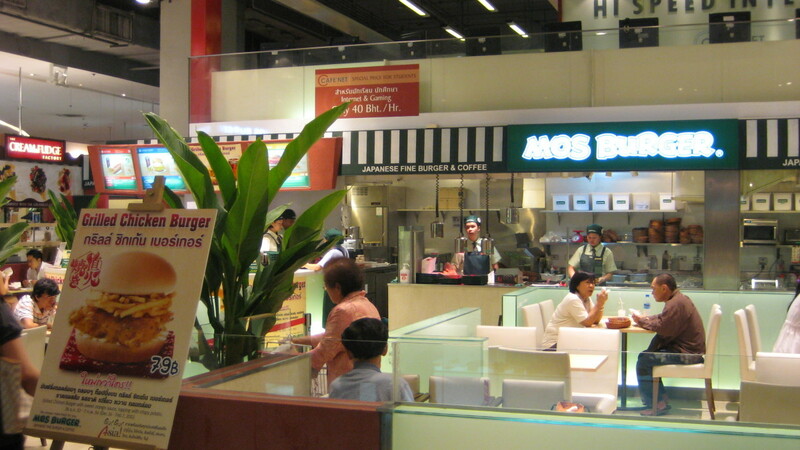 But restaurant business in Bangkok is very difficult as it is in most big cities all over the world. Do you have any experience? And you should have a big budget. Plus if you'll need a Thai partner too you can trust which is probably the biggest obstacle if you don't have one. 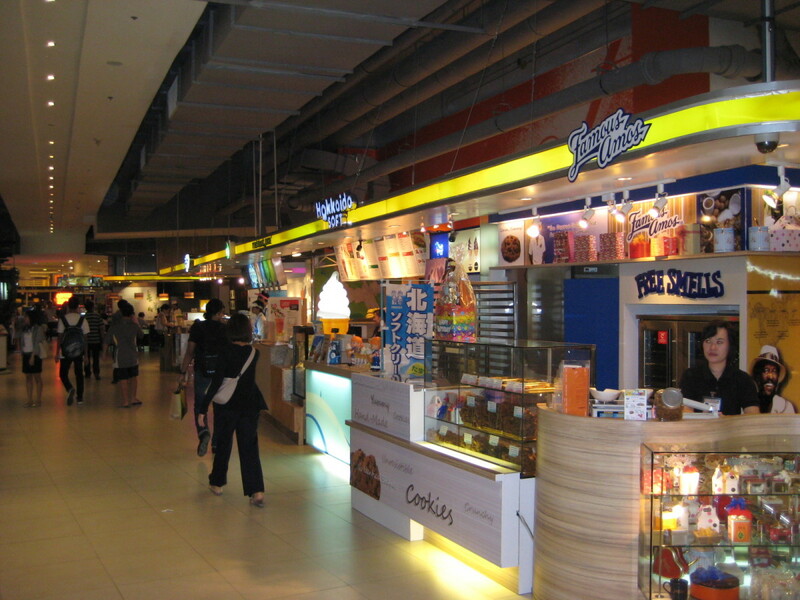 Hello, i am looking to rent a kiosk or small shop in Bangkok for fast food. the areas i am looking for, are: silom ,sathorn ,asok phromphong sukhumvit ,chatuchak .,nana soy 4.any help please? I don't know if you can help me. I need to know if my the software require a certification from the Thailand government or i can sell without problem. Im from Norway and dont have any thai partner . But my uncle is married to a thai and want to start up with me . Can she do that ? Very informative and helpful article - thank you. My husband and I are thinking about relocating from South Africa to Koh Chang and would appreciate any advice regarding buying a business there. We have looked at backpackers and guesthouses. Ideally we would like to first manage one for a while before making the full financial commitment. Not sure if this is an option. Just curious... say someone stumbled upon millions of dollars in winnings (this person happens to be a US Citizen)... could they open a fake business (no real customers) and pretend they're making profits? All for the sake of living in Thailand for the rest of their days in leisure? 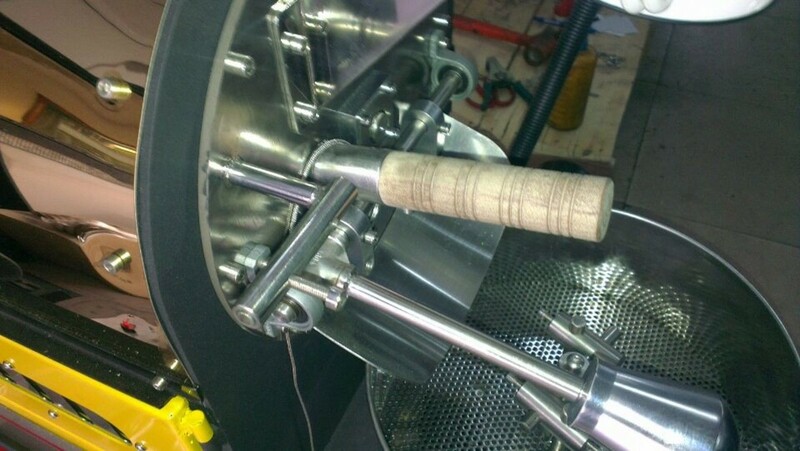 Hi my name is Biju Ashok from india .I am starting a brew pub in Thailand. I want a business partner. I know about all details about brew pub .my management team is very experienced guys. Anyone interested please contact me my email address bijusashok@gmail.com mob.08943100000..
My company name Biju Brewary pvt ltd. Location of the project The project is proposed to locate in the city of bankok or puhkat or pattaya.. Your article is pretty interesting. I was thinking to set up a portal or a website to promote local cuisines to foreigners something like what and where can you eat with only 500 baht a day in Thailand. And then income will come from advertisers which advertise on my page or portal. What do you think?? can you explain me about guide to do business in Thailand? Hi Edwin, love your website and advice. Being from Belgium and resided in theUS for the last 10 years. Am planning to open a private school to teach european pastry and chocolate classes. Preferably in a central location e.g Sathorn. Any suggestions on purchasing floor versus renting? And how about licenses? any advice? This is Crazy, I mean. Invest and just depend on luck. Work hard to get legal documents and then if business drop, you are lost. Hi Ed......great article, very informative !! I have been having ideas to start a small Supermarket / Mini mart business in Thailand and wanted your suggestions and advice. Can you provide me your email address so that I can share my plans with you in details or if you can contact me on cruzethai@gmail.com would really appreciate it. hi, i am from Bangladesh.i am interested start business in Thailand with $13000 .is it possible. Wow. This is quite an impressive hub. I agree with all your tips and also stress that you need to play by the rules in Thailand, both with the government and, protect yourself against your competition. Thai's come first when it comes to business in Thailand. 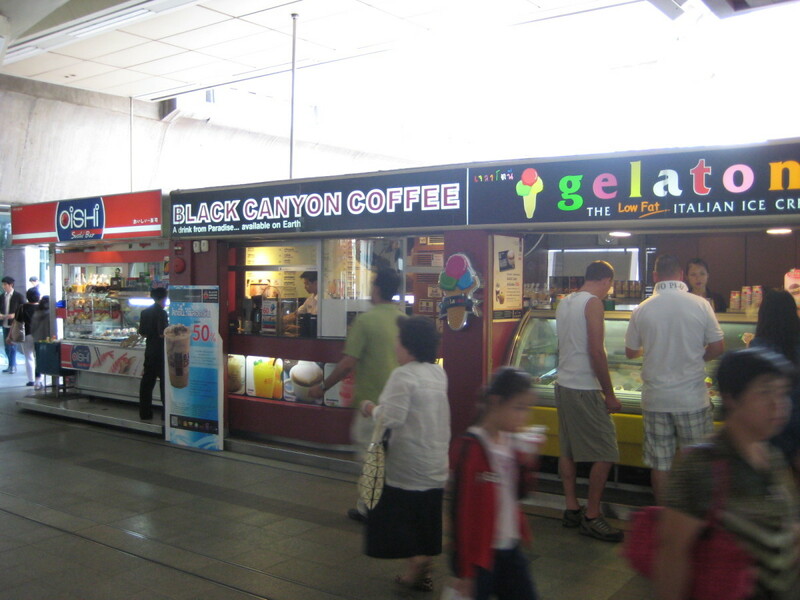 Hi, I used to have a dessert and coffee shops at two of the biggest shopping malls in BKK. You need to be very careful. sometimes it's not that easy. Many people failed in this kind of business. Nowadays, I am a seller of tea and roasted coffee for many shops and companies in Thailand. The point is that in the end of each month the bill is higher than you expected. It's not as the same as they told you about the expense. I have only s$4000 ... Can I start a business ? If I have only s$5000 to start a foods shop business . Where it be prosible? Sounds like you need professional legal assistance. I recommend contacting a law office. Just do a google search and you'll come across them. They should be able to answer your question for free. Hi. I have start a chocolate shop in Bangkok. but having some issue with registered the shop name, 49% foreign 51% Thai , but they say it retail and not possible? any good suggestion. Thank you for the information you shared about opening a business in Thailand. I want to open coffee shop with Bakery and soft serve ice cream downtown On Nut Area. I am almost done, but I am seeking for your advice about hiring the right people to work there. i am looking for a Thai person to manage the business someone with at least 10-15 years in Hotel and hospitality industry, someone who has worked in a restaurant or coffee shop, someone who also knows a lot about baking. What do you think the salary should be? Ro what to expect. I am not going to work in there. Hi. 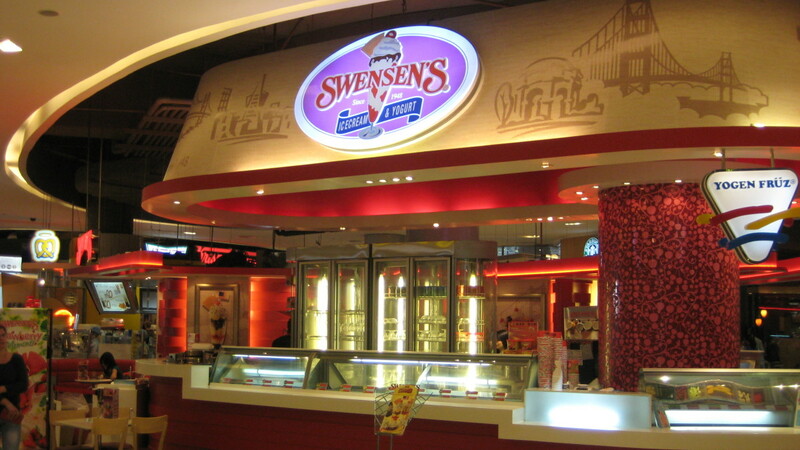 i'm thinking to start an ice cream place in patong-phuket in a good location. i do have a great vendor of italian ice cream base. Do you think it would be a good idea for my business? Getting a Trustworthy thai Lady But after that What prevention Can be taken to Keep ourselves on the safe side Is it necessary to get married to Her? or having a Thai partner will Work for Us. just keeping The thai Lady on a Shares of 20% and ourselves At 80% can be done? I have taken this On a serious note and that's what even my due diligence was all about "people buy people Not products"
I would Be really glad and Thankful For your Reply, i would Like to Have a Conversation With you! or you can Catch me On email as well. im interested in opening a small juice bar in BKK. Do you have any advise on the best locations to operate such a shop? I like your idea of BTS stations. I know you said they're sought after space but from choice which one would you recommend i start my search at? Finally, which shopping mall would you side towards for this kind of venture i have in mind? I'll obviously be up in BKK again soon for a kind of inspection trip but i'd love to hear your opinions.